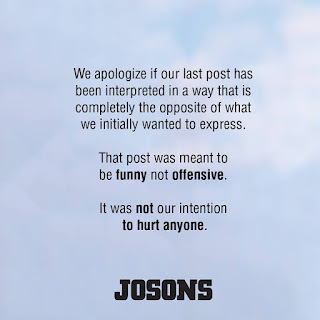 Tarek Chemaly: Josons: Can we lighten up please? 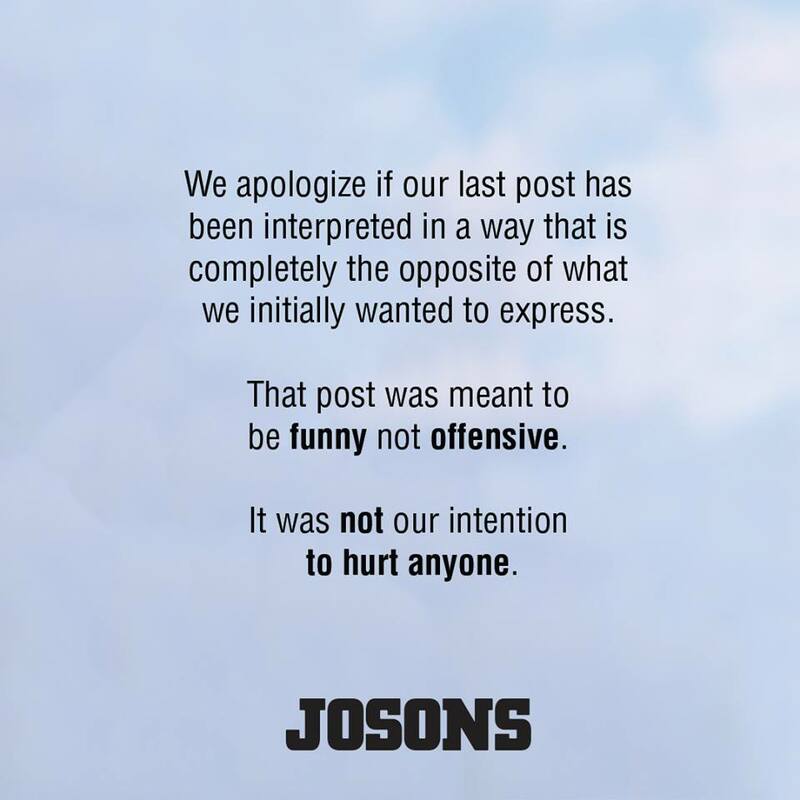 Josons: Can we lighten up please? Sometime in 1995 I decided to be vegetarian, it only lasted for a while, but thing is - when we got invited to dinner, our teacher who truly liked me said "OK, everyone can have meat and leave the "hashish" (a derogative term for greeneries) to him" (meaning me). It was a joke, we laughed about it, and heck, even took a photo of me and him afterwards. The last ad of Josons which sells hunting equipment was truly interpreted under a dark light. Vegetarians got upset, hipsters were all up in arms and everyone had something to say about it. Including me, except I thought it was funny. I really think we are getting to a point where everyone is getting upset about petty things. It was a joke, some liked it others not. People let's lighten up a bit here! Josons sells hunting equipment, what's next - protest their existence? "Ce matin un lapin a tue un chasseur, c'etait un lapin qui avait un fusil" (this morning a rabbit killed a hunter, it was a rabbit that had a gun) says the Chantal Goya song. Till then, the odds are in the hunter's favor!